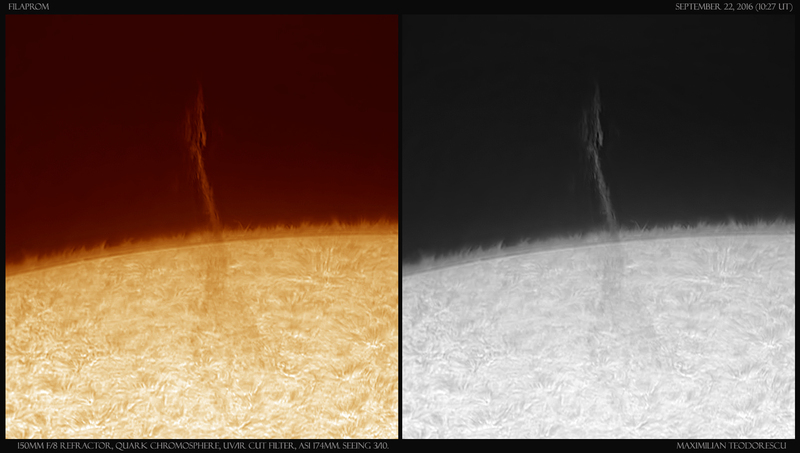 It seems that the good daytime seeing is rapidly leaving my observing location. 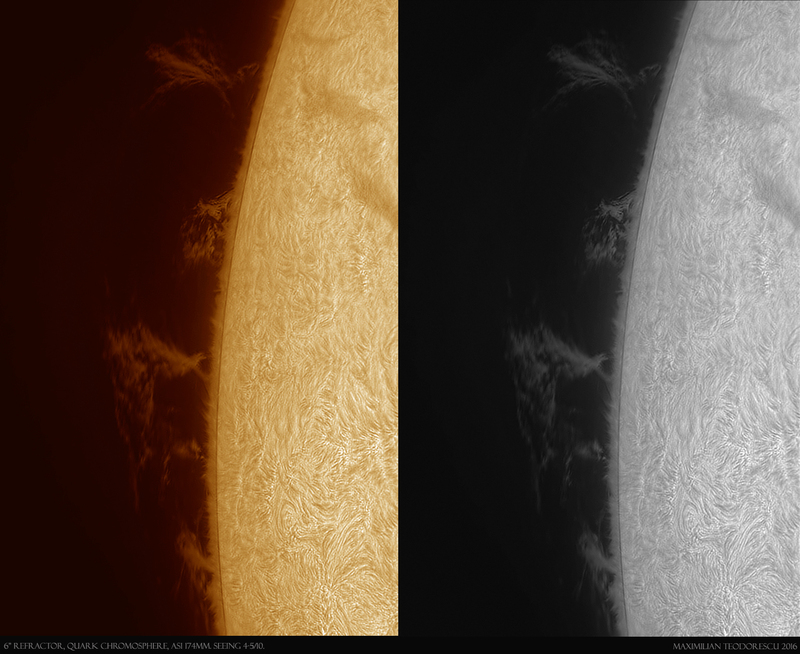 It is very rare these days I have any good moments with steady images while imaging the Sun. 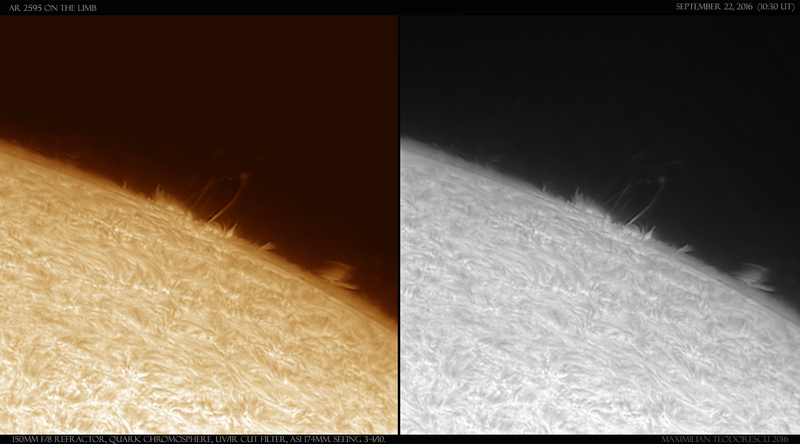 Still, our star is not interested in my local conditions, and it displays wonderful prominences each week. 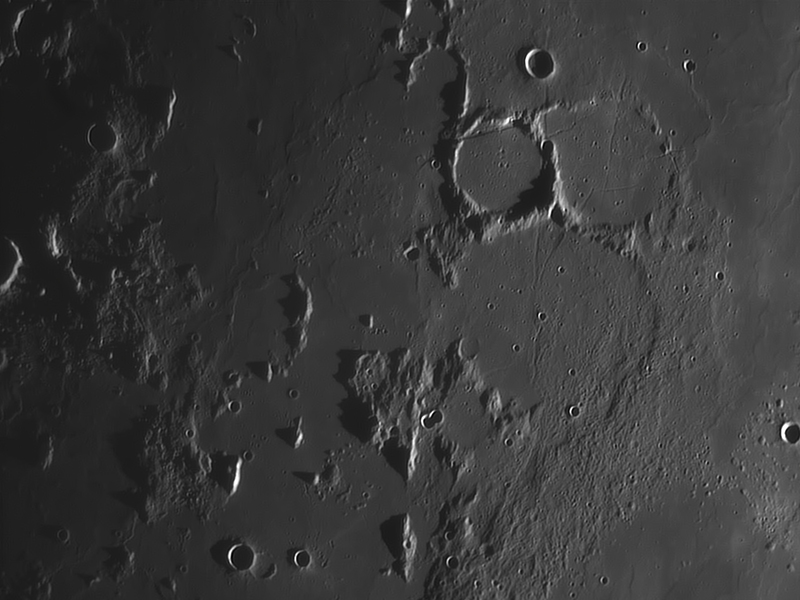 The following lunar images were acquired, as the title suggests, during morning sunlight, with the Sun almost 10 degrees up at the end of the imaging session. 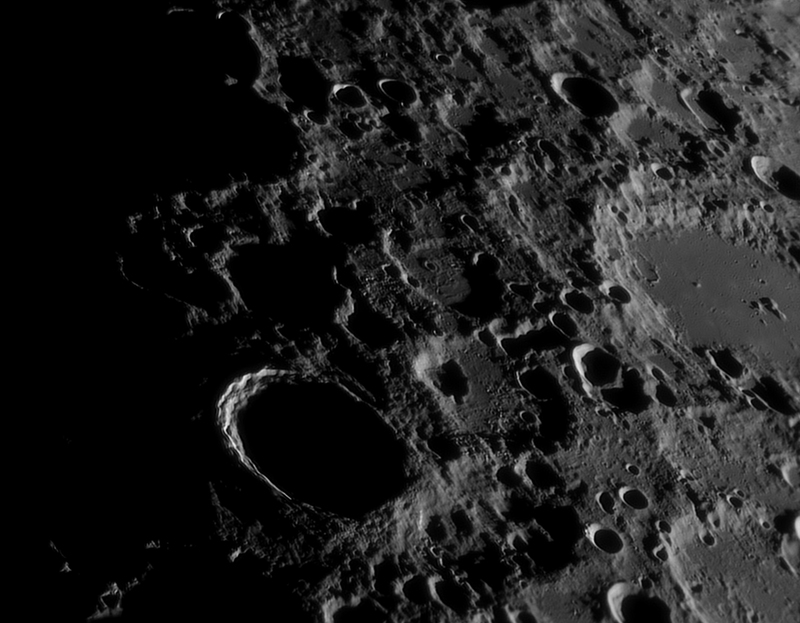 Still, since they are my first lunar shots acquired with the “Mobile One” setup in quite a while, I’ll post them here. 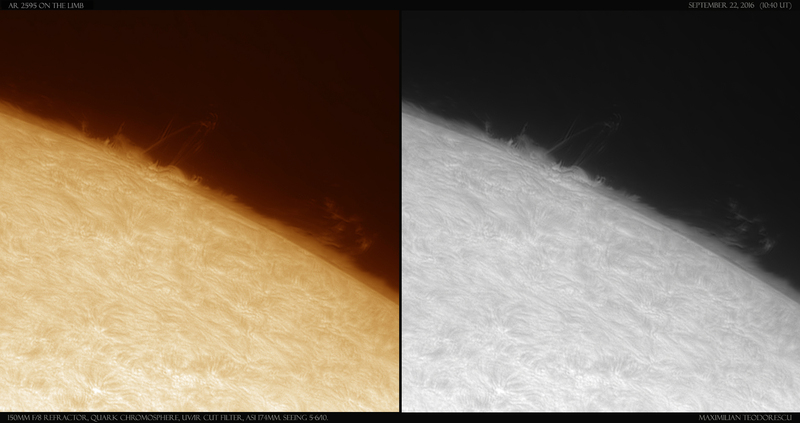 Some good seeing today for these images. 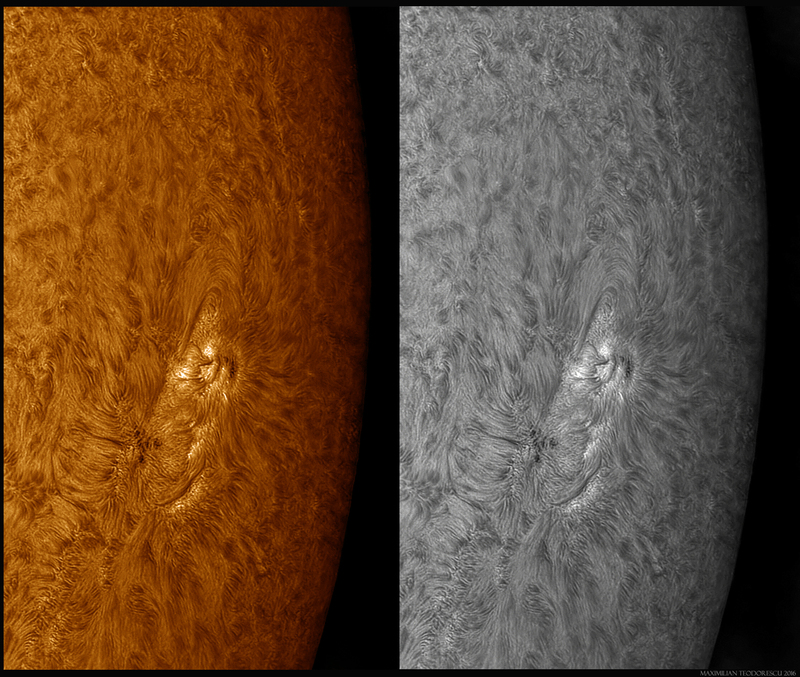 AR 2596 (up in the images) looks very interesting with a whirlpool of plasma around it. 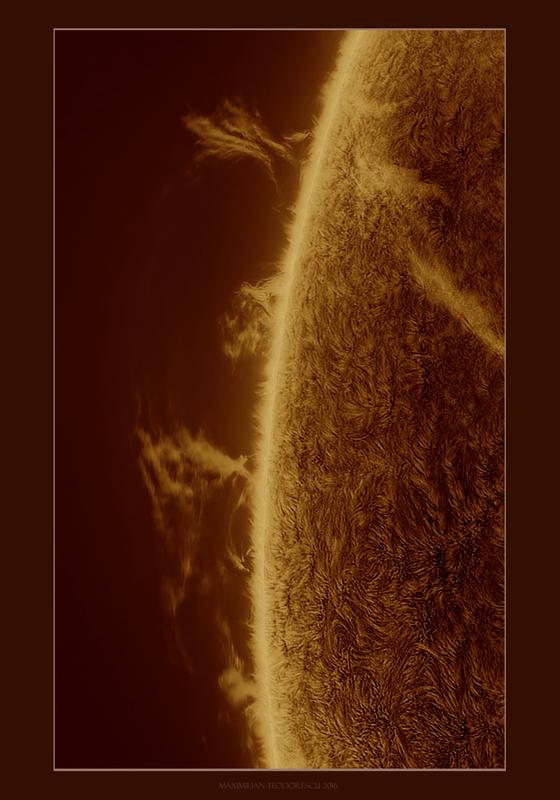 AR 2593 has a plasma mountain next to it. 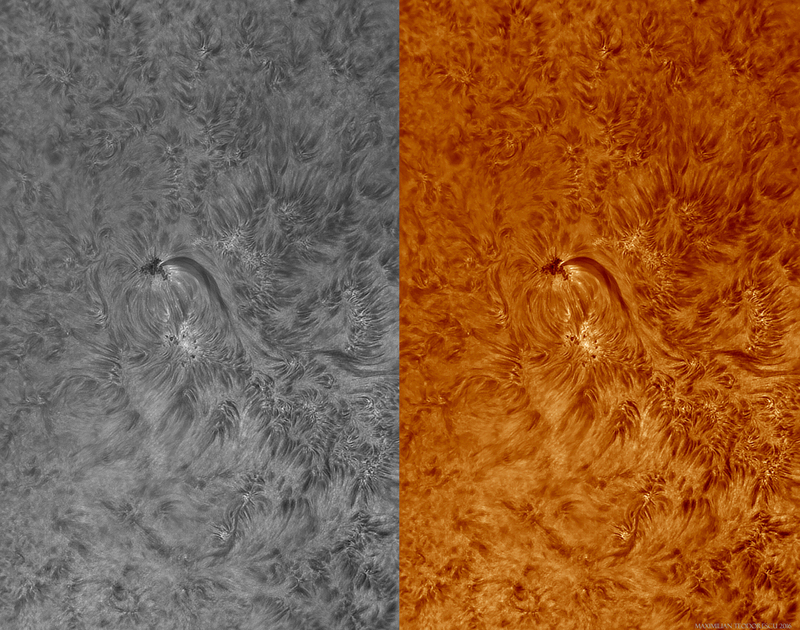 Both promise a good show as they get closer to the solar limb. 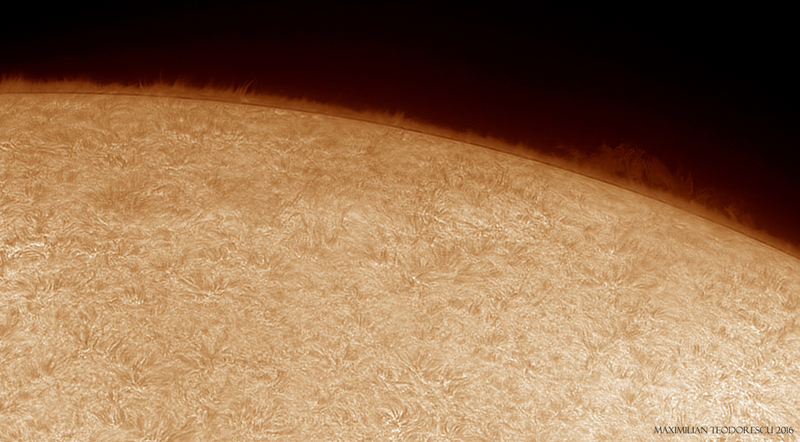 Equipment: 150mm F/8 SkyWatcher achromat, UV/IR cut filter, Quark chromosphere, ASI 174MM. Best 700 out of 4000 frames. Seeing: 6/10. 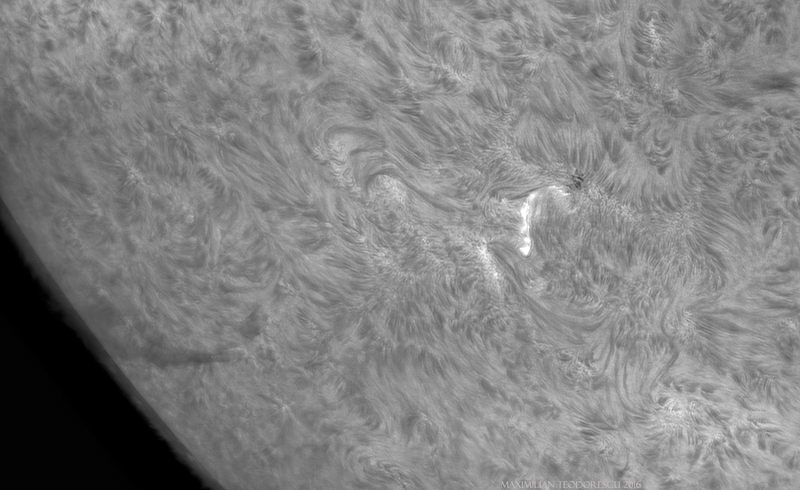 Today I had one of the worst solar imaging sessions: bad seeing and a few clouds forming right around the Sun. 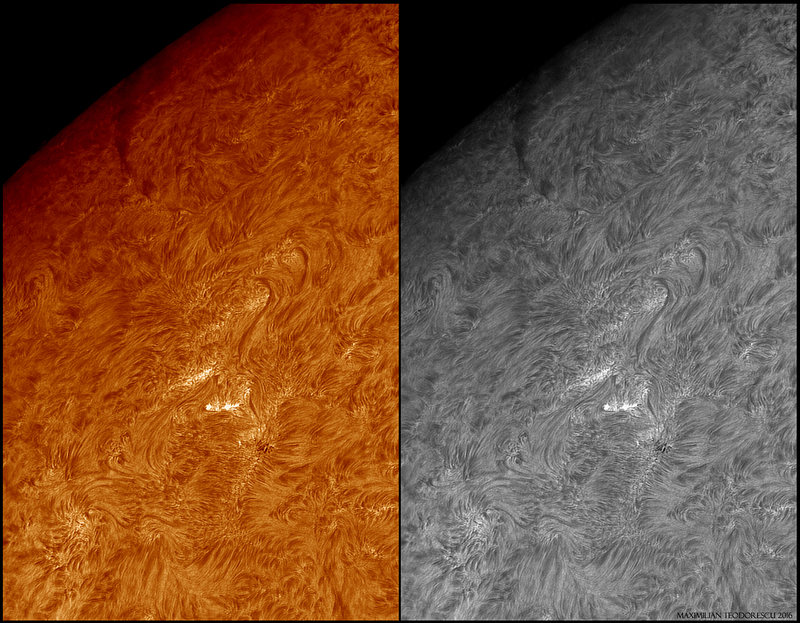 I did however managed to get a few glimpses of the departing active region named AR2595. The region was right on the limb, so a lot of activity was observable. A few shots in H-alpha light that present a small flare and an interesting prom on the limb. 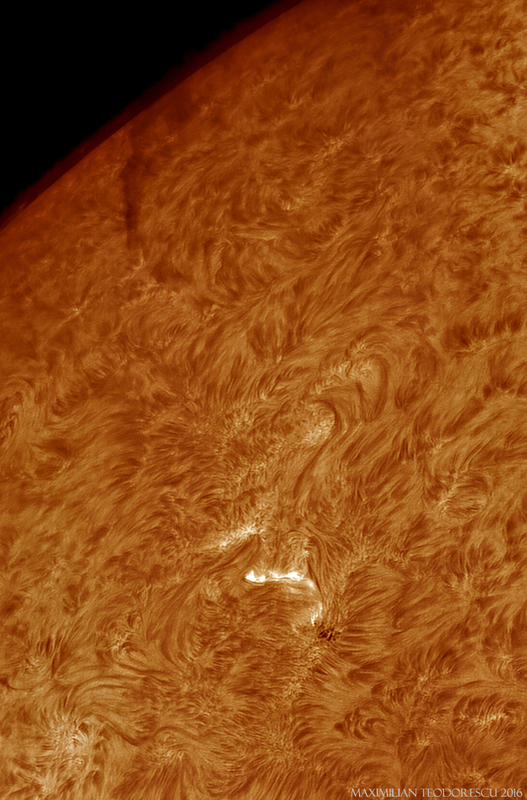 The small flare occurred in AR2592. The seeing was not good, but it did allow some images. 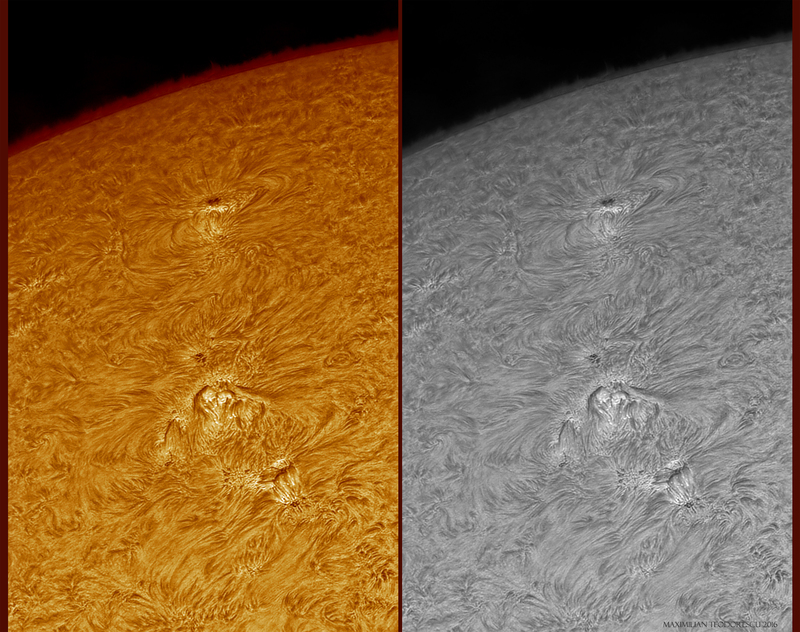 Equipment: 150mm F/8 Refractor, Quark chromosphere with UV/IR-cut filter, ASI 174MM. 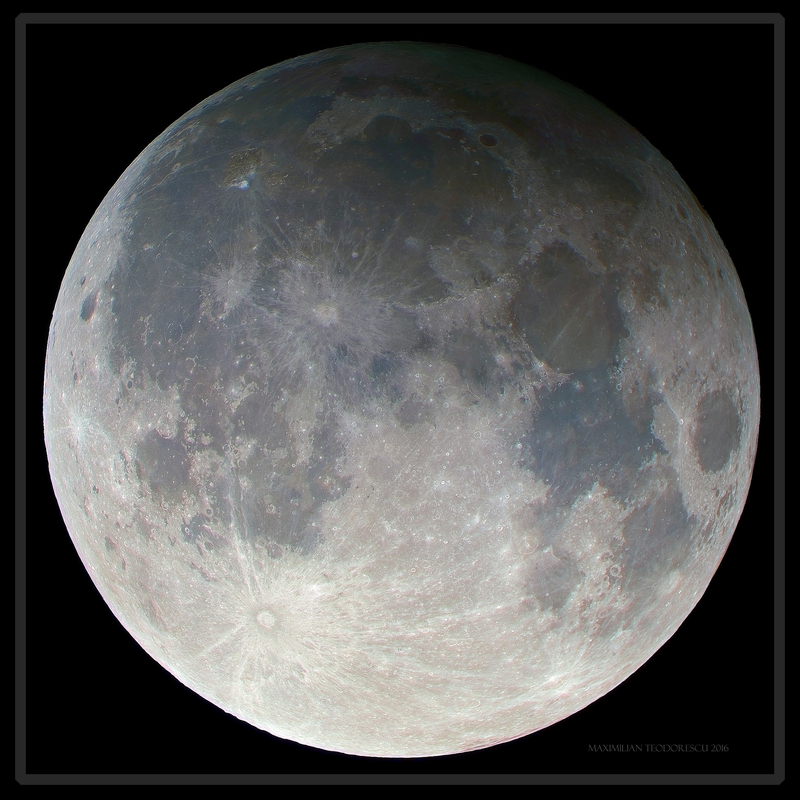 Seeing quite a few lunar eclipses along the years, I thought that this eclipse will not be a memorable one, especially being a penumbral eclipse. 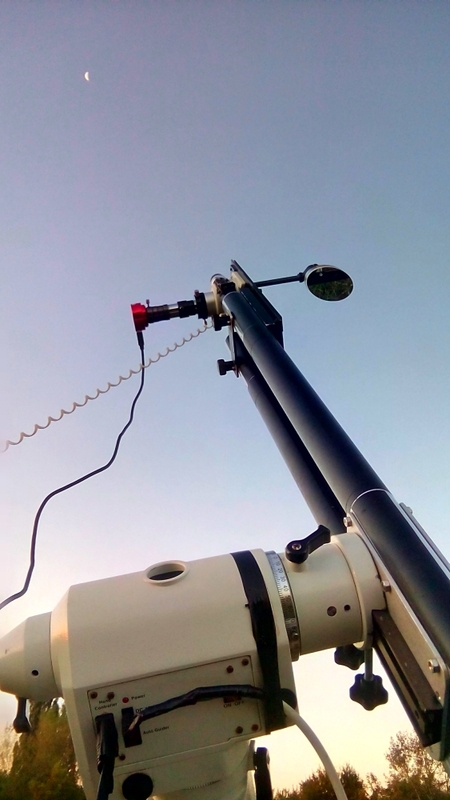 I was quite wrong, and from the moment I’ve noticed that the penumbra was well visible with the naked eye, I’ve mounted my gear in order to get a few shots of it. 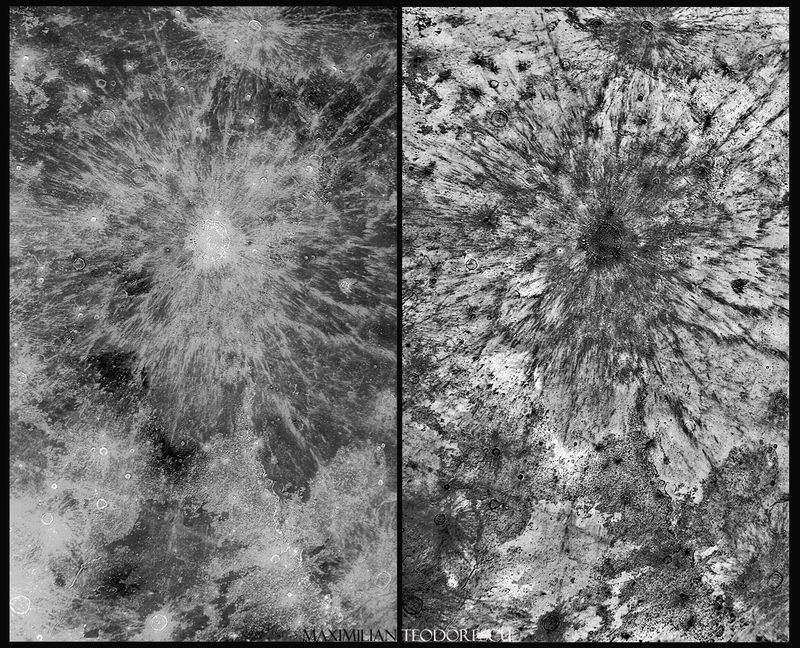 The difference between what the camera acquired and what I could see with the naked eye was quite big. 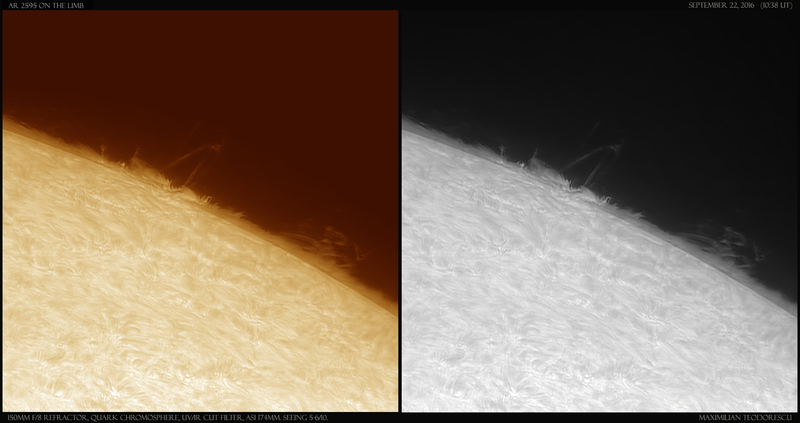 This is why I’ve also made a comparison image of the two views. 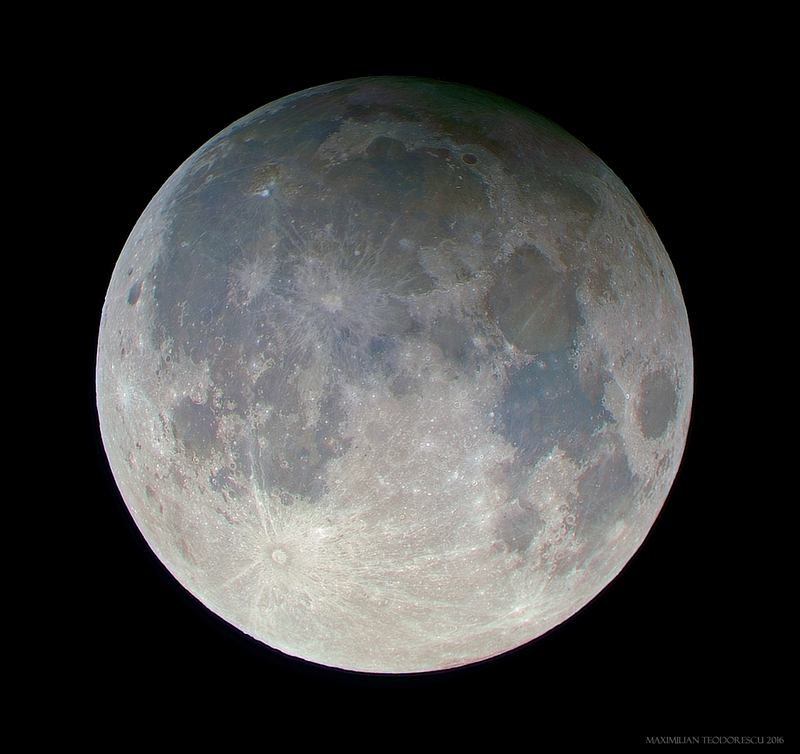 The RGB data was a bit saturated in order to get the different hues of the lunar soil. 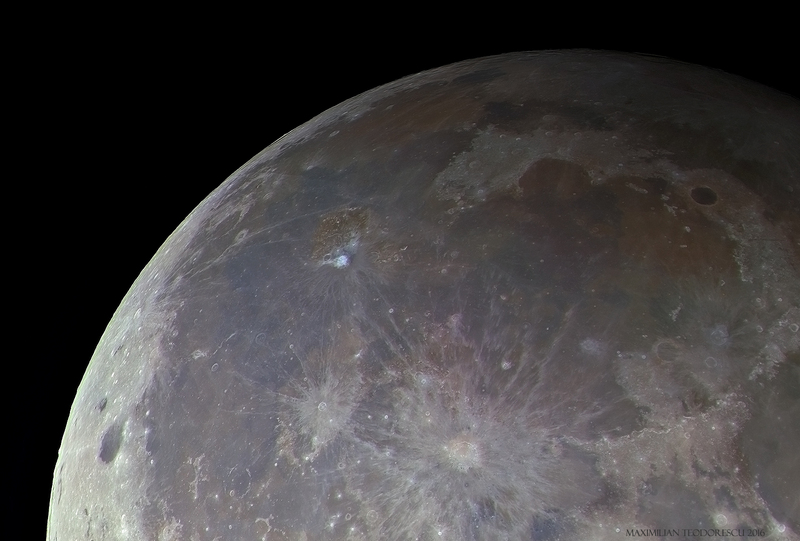 Equipment: 90mm F/12 Maksutov, 0.5x reducer, RGB filters, ASI 174MM camera. 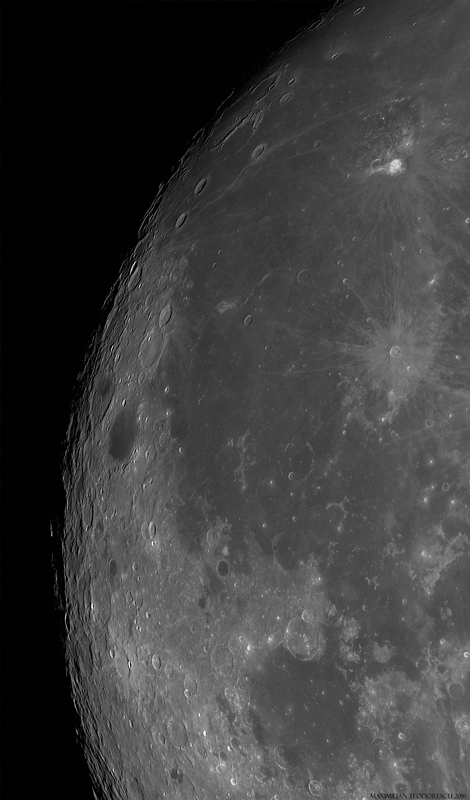 Another shot, also RGB, showing a more detailed view of the Moon, 10 minutes after maximum. 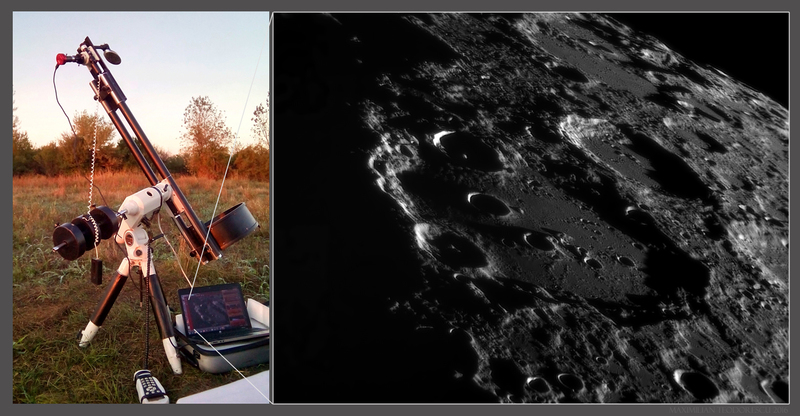 This time the camera was directly in the focal plane of the small scope. 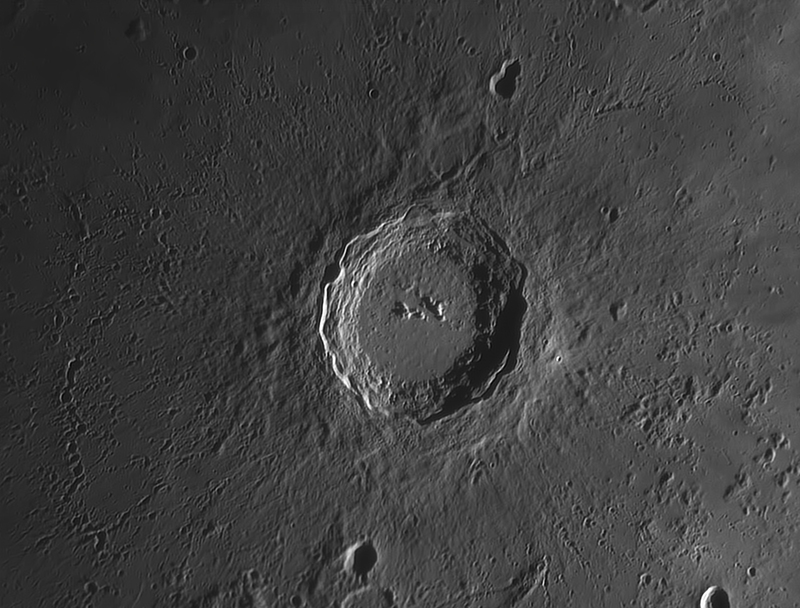 After performing the first “H-alpha light” with the “new” 150mm F/8 Refractor, I’ve decided that collimating the instrument must be the next logical step. And that I did, together with my brother in law, after the Sun went down. 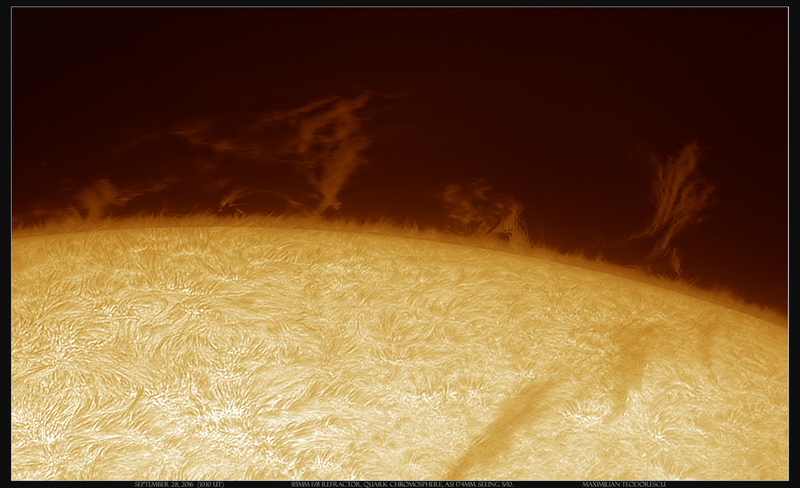 The best way to properly collimate an astronomical instrument is by viewing a star at very high magnification. 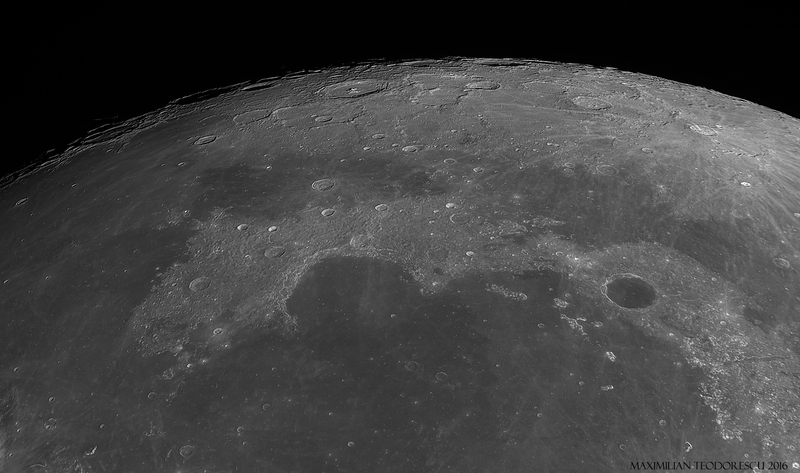 For that I was “forced” to use a magnification of 350x, by using two Barlow lenses and a 26mm eyepiece. 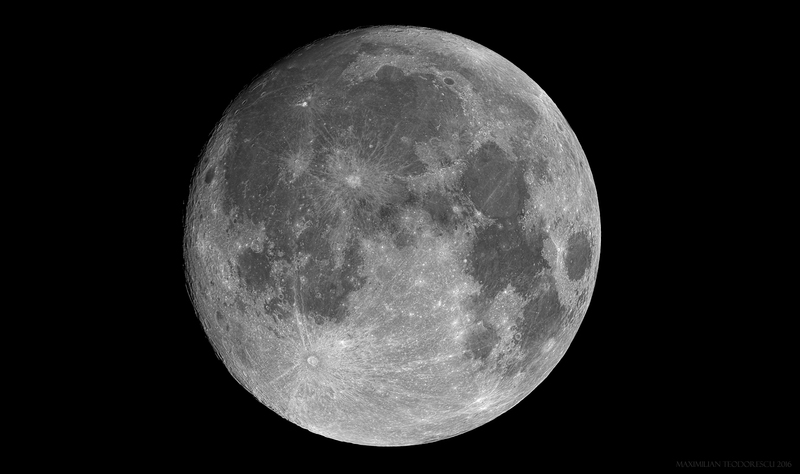 After verifying the collimation we’ve decided to observe the Moon for a few tens of minutes. 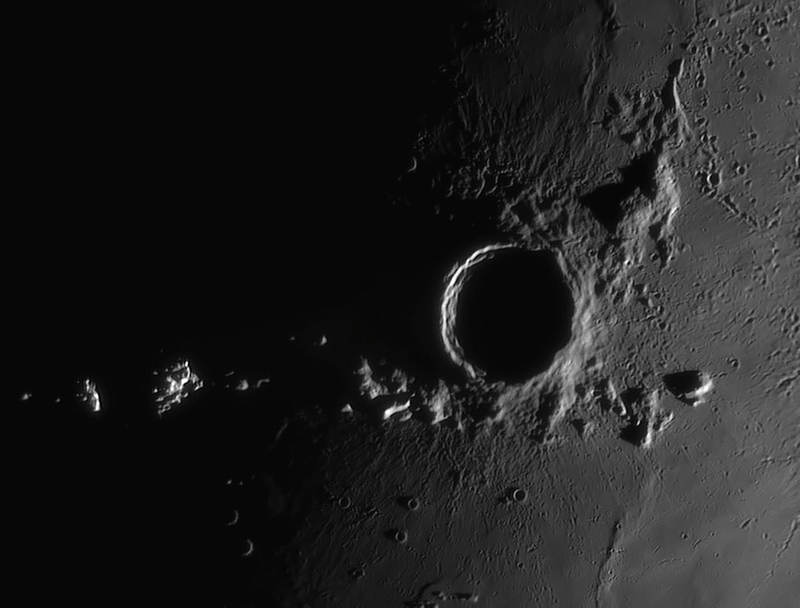 Despite the purple halo inherent to achromatic refractors, the view of craters at 100 to 200x was fantastic, and that with the Moon rather low above the horizon. 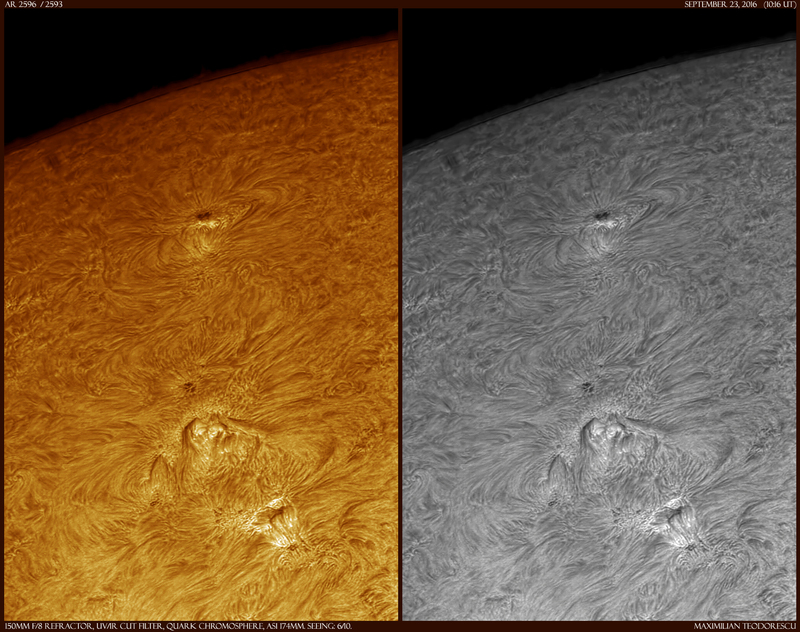 Of course, I had to get some images, but also to test a few combinations for further imaging sessions. 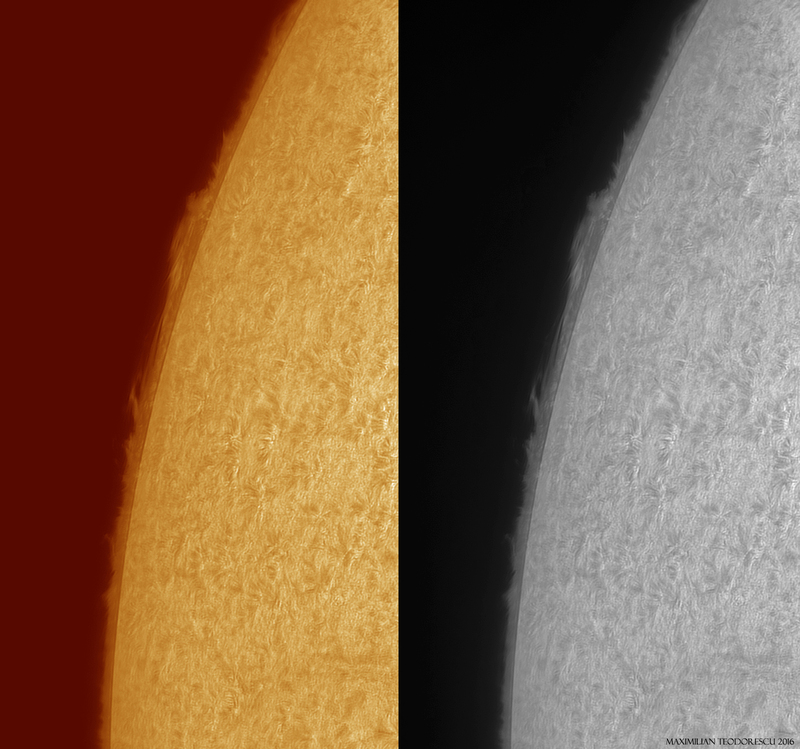 I’ve started by acquiring a full-disc shot using the 0.5x Reducer and ASI 174MM camera, and a Green filter (which apparently works best with this refractor). 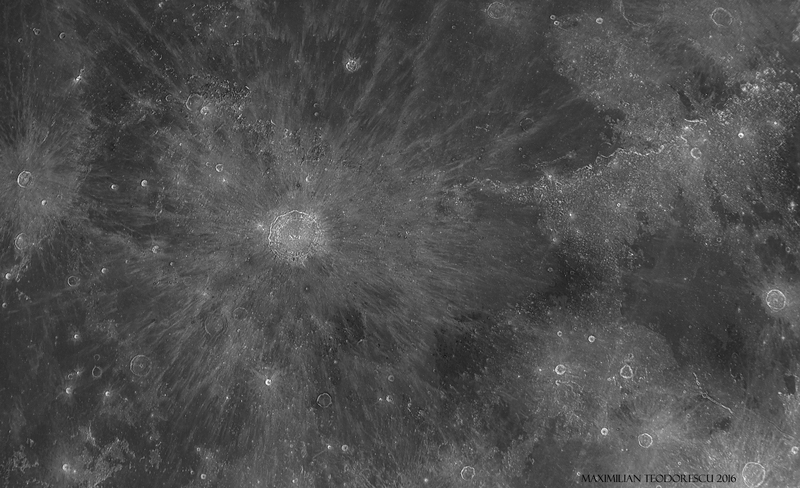 The end result is a 500-frame (out of 3000) stack processed at normal resolution (no re-sampling). 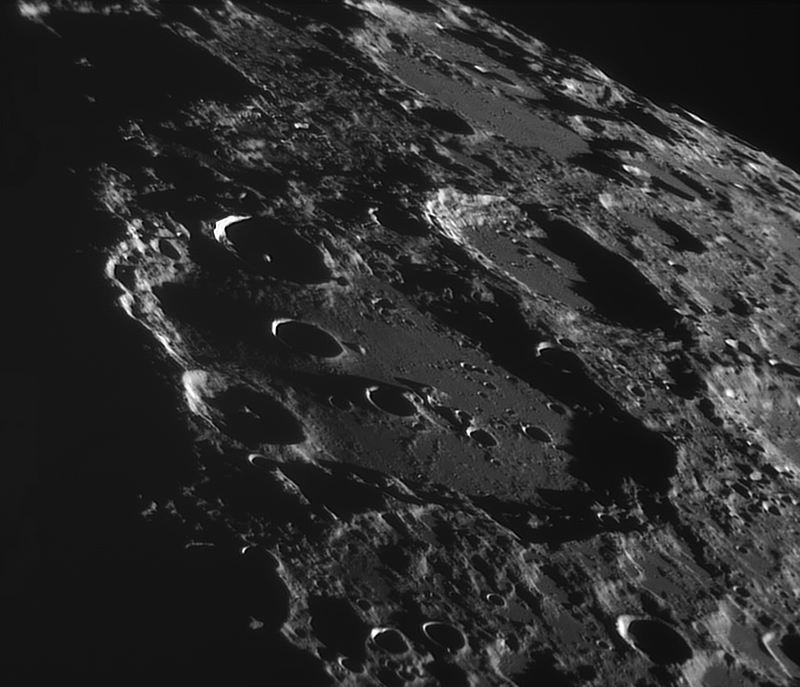 And a few more shots, this time with a 3x barlow lens. 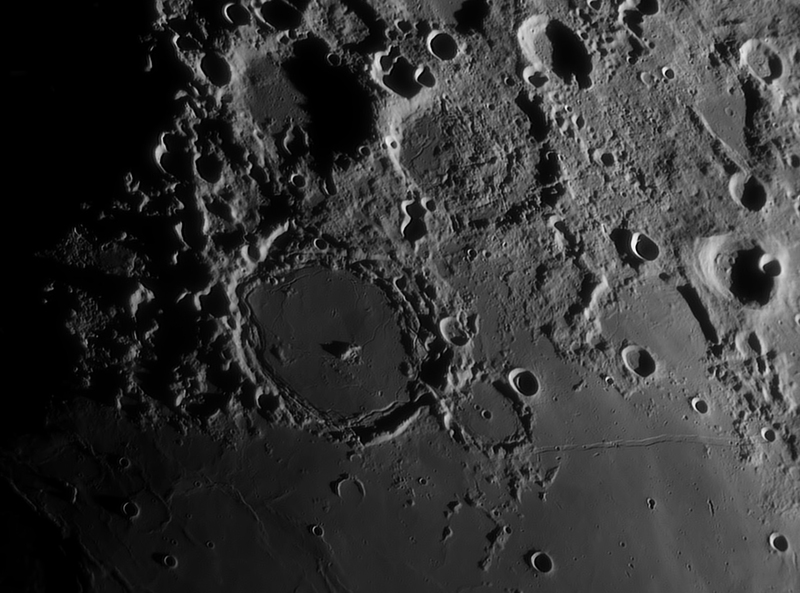 The seeing was poor due mostly to the low altitude of the Moon above the horizon, but a few good moments allowed for some rather fine details to be captured.